A bridging loan can provide you with a solution to help you buy a property, particularly when you are up against the clock. In an ideal world having your current house sold before you make an offer on a new home puts you in a strong position. The seller you want to buy from is more than likely going to give preference to a purchaser who has readily available cash (and/or a pre-approved mortgage) rather than somebody who is not in a position to proceed. The reality is that when you find your ideal new home you are often yet to sell your current house. Selling a house takes time and time is often something you don't have when you are in competition for the same property. The dilemma is how do you head off the competition to making sure you get your new home when you have not yet sold your current house. There is a solution and it is called bridging finance. Bridging finance is a kind of loan designed solely for short term usage to provide a temporary cash flow solution or ‘bridge’ before additional permanent finance becomes available. This type of finance can be ideal when the clock is ticking and where funds are needed quickly. The process for obtaining a bridging loan is usually a painless process. Like a mortgage, a bridging loan is secured against property or asset with the typical loan to value in the region of 70% however up to 100% bridging is possible if there are other assets that can be used in the background as leverage. Bridging finance can often be arranged in a short timescale typically 10 to 14 days, but in some cases quicker if funds are needed urgently. To discuss how a bridging loan could work in your situation speak to our team today on 0117 313 6058 or complete our callback form. 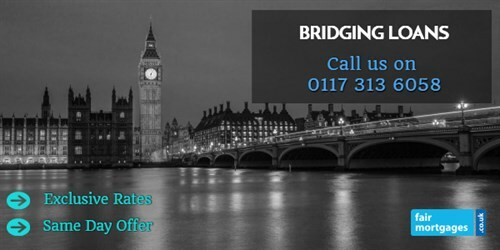 To investigate your bridging finance options call our broker team on 0117 313 6058 or fill in our call back form.